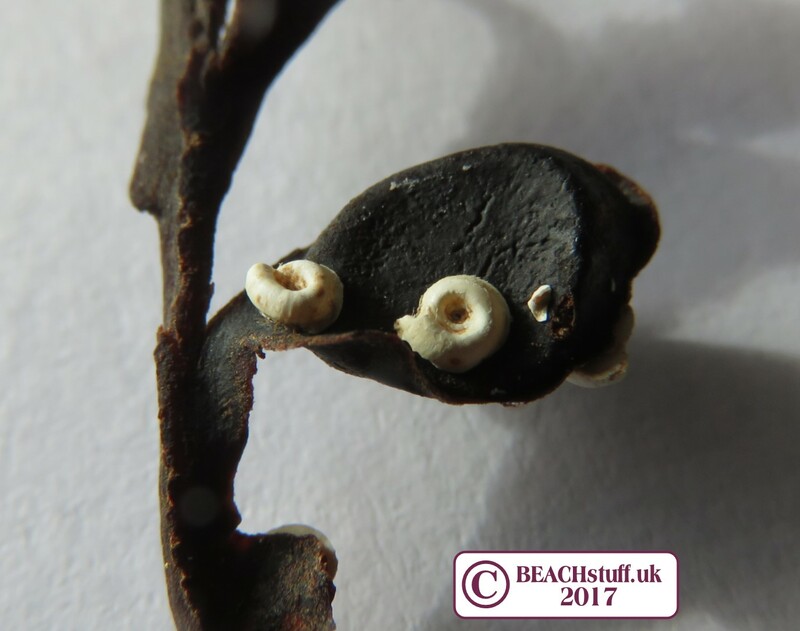 We tend to think of those pink (often dead) worms in our garden when we think of worms, but they're on the beach too - and looking very different. Don't sue me if you don't actually see a worm though - what you are more like to see is signs that a worm is around, rather than the actual worm itself. Have a look at the worm that came out of this whelk shell! 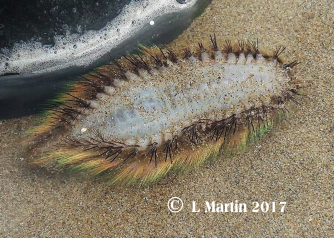 The sea mouse is a type of polychaete worm (segmented, bristly worms) known as a scaleworm that can grow up to 30 centimetres long but are more usually around 10 or 15 centimetres in length. 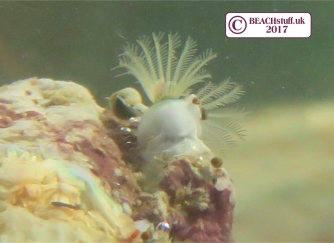 They feed on small crabs and hermit crabs and other worms. To warn off predators, they are covered in bristles which can flash green, blue or red. 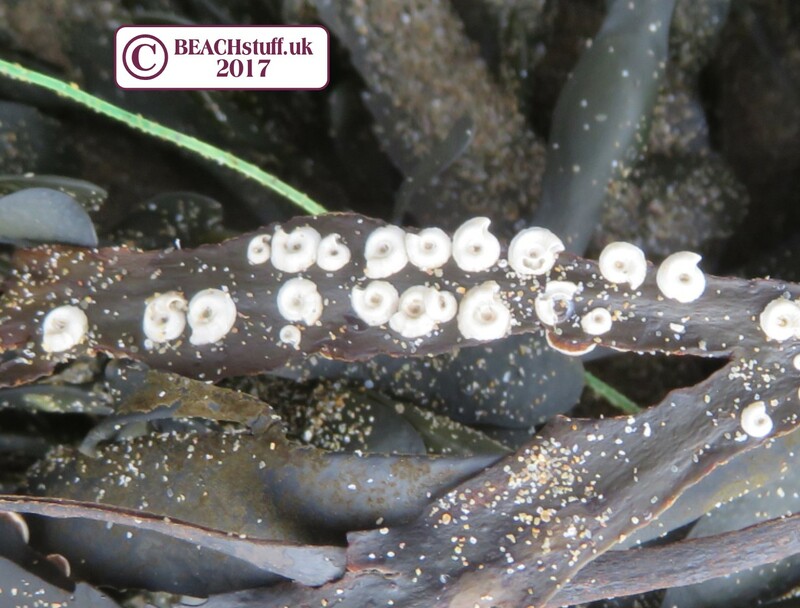 They are common all round the coast of Britain but not found very often. 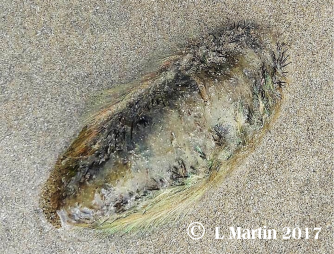 Lynn Martin found the sea mouse pictured in Westward Ho! in May 2017. 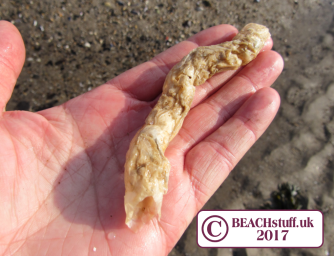 Ragworms are more commonly found in rockpools than when beachcombing but as this one turned up in a whelk shell I picked up on the strandline, I thought it deserved a place here. 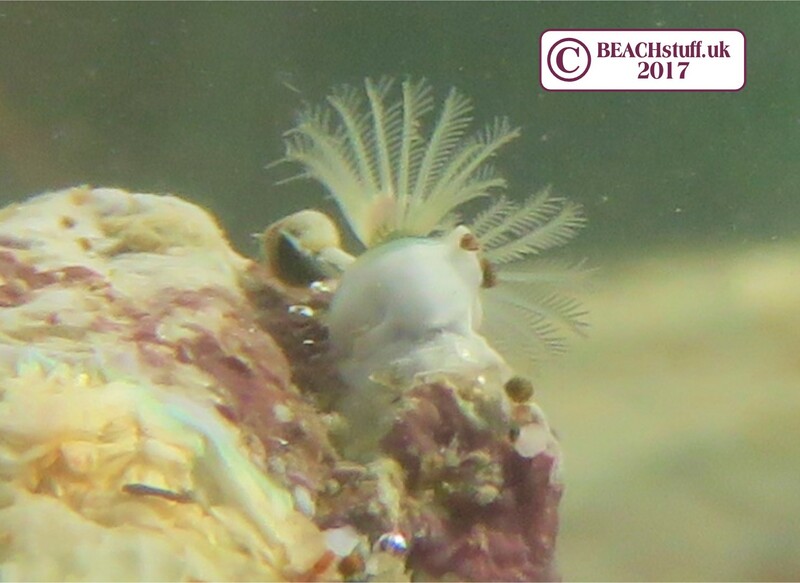 Another form of polychaete worm (see sea mouse above), ragworms like to hide in shells, under stones, and in silty sand, They forage for whatever they can find to eat - plant or animal, they are not fussy. 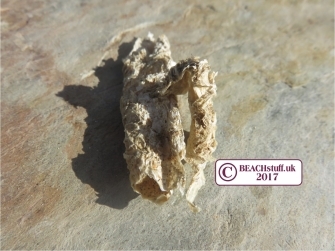 Called ragworms as they go completely limp if picked up. These paper tubes - maybe a centimetre or more in diameter - are made by the parchment tube worm and afixed to the sea bed for the worm to live in. 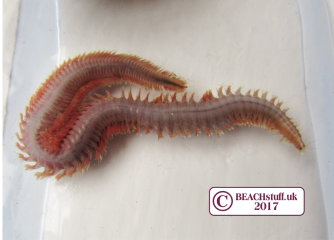 The worm itself looks actually more like a water-born centipede than a worm with a whole load of wriggling 'legs' along its body. 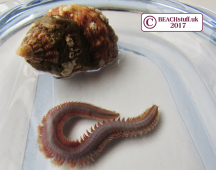 The worm eats plankton floating in sea water - a filter feeder. 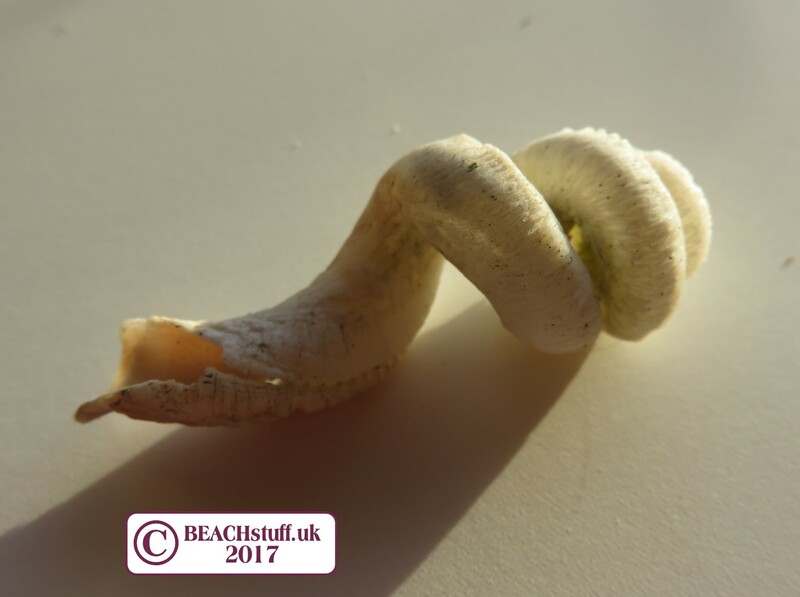 Tubes on a stone or shell (or on just about anything else that is in the sea) are made by tiny worms. 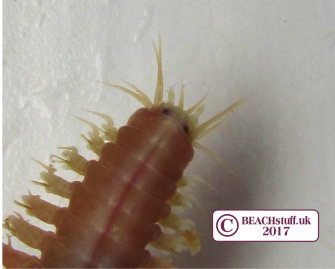 The worm lives in the tube and then, when it wants to feed, it pushes out its 'tentacles' (below right) with which it traps plankton from the sea water. 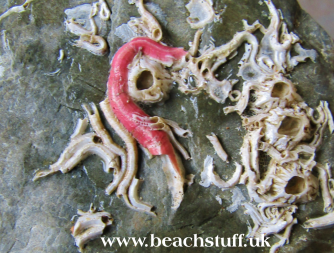 Female keelworms produce pink calcerous tubes (below). Like the keel worms, the spirorbis worm makes itself a calcareous tube to live in (generally white or discoloured to cream or brown). These are tinier than the worms above - perhaps only three or four millimetres across - but the basic format of the worm is similar: it lives in the tube and puts out tentacles to feed. 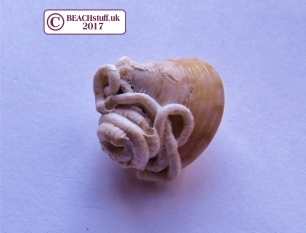 The spiroris spirals are almost exclusively found on wrack seaweeds. 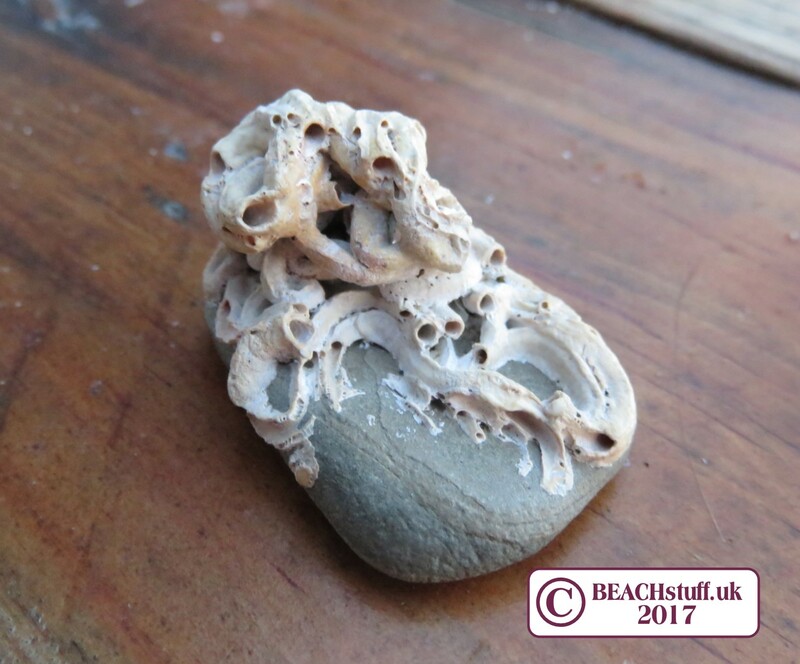 Looking like a deposit of sandy poo, this is a sign of the lug worm. Of all the worms on this page, this is the one that looks most like our earth worm although you would have to dig fast and deep into the sand to see one. As they dig down, the sand they remove is piled up in the surface. They can grow to about nine inches (23 centimetres long). 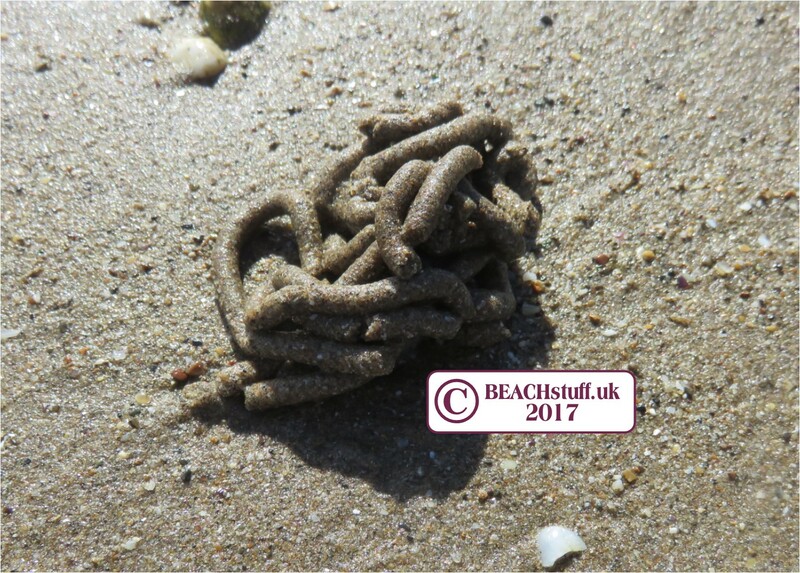 Yes, this does look very similar to the calcareous worm tubes above but no, it is not the same thing at all. it's actually a snail. Have a look at this page if you don't believe me.